Posted on September 23, 2017 at 11:36 am. 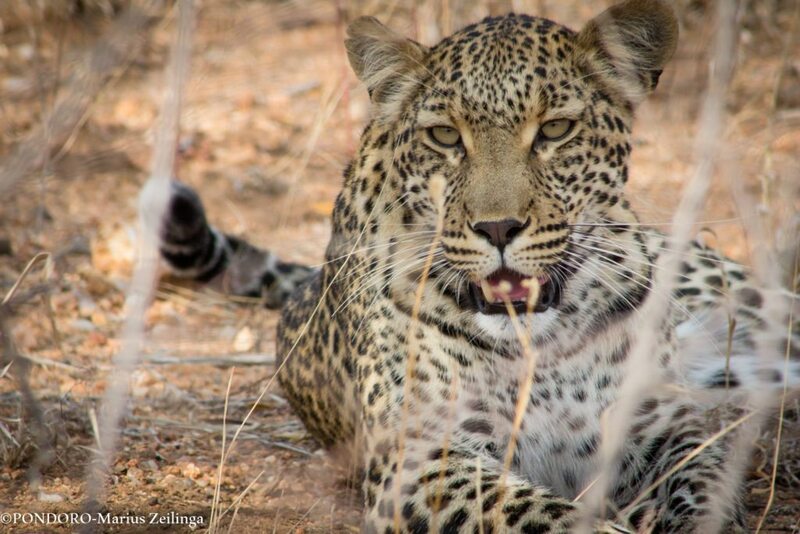 It was another breathtaking week here at Pondoro, there were so much happening with all the predators especially the leopards. The big herbivores are at an abundance now in particular the elephants, there were some very large herds moving through. 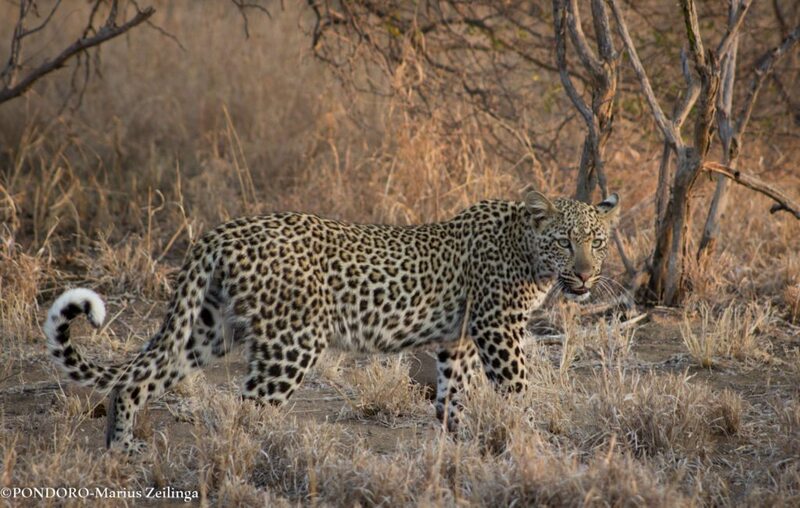 Let’s start of with the leopard cubs, these 2 cubs are constantly provided with big meals from their mother because when they were tracked down during the week they were found on or around a kill of some sort each time. After some time speculating we are almost positive that both are females as well. 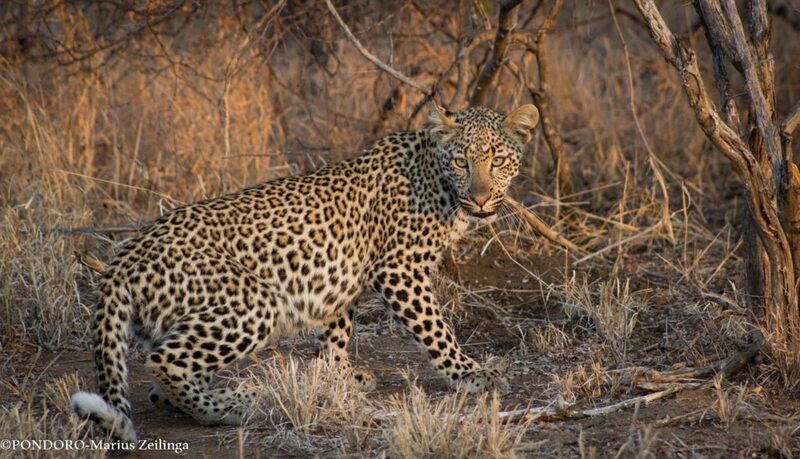 Faka Nchovela was seen several times during the week and each time she was seriously looking for a potential meal. 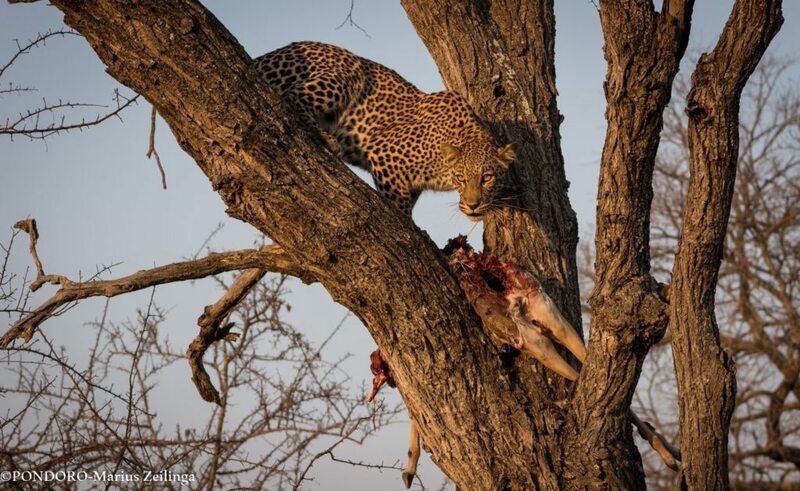 It was only a matter of time before she would find something and that is exactly what happened, one morning she managed to find some impala walking with a few zebra but that did not stop her from succeeding. 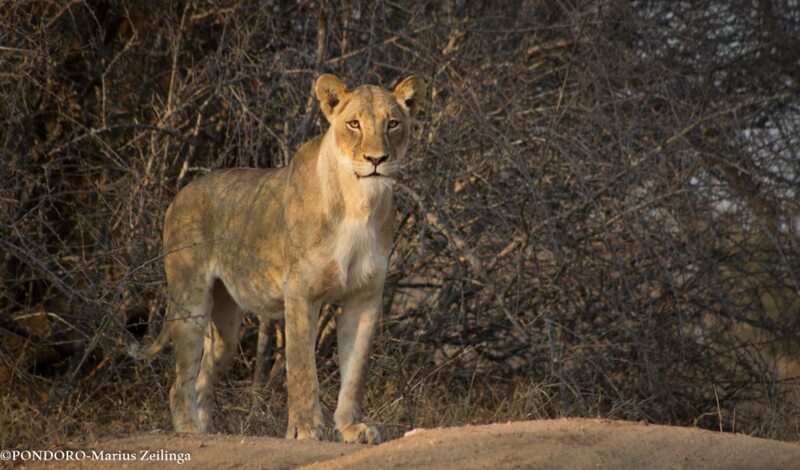 At one point even the guiding teams along with their guest lost sight of her but soon after she came out and took an impala down 5 meters from the vehicle. 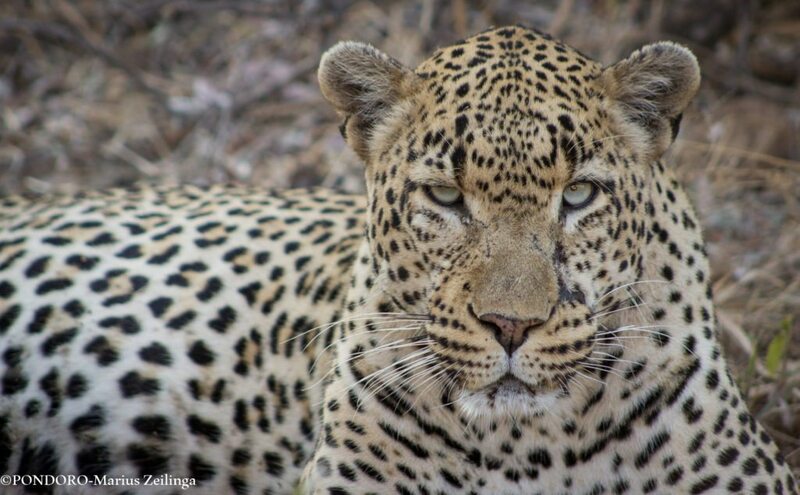 Chavaluthu was seen once during the week moving through his territory scent marking and calling out as he goes. He has a very large territory so it happens that his away for a few days and then appears again after he’s done doing his rounds. 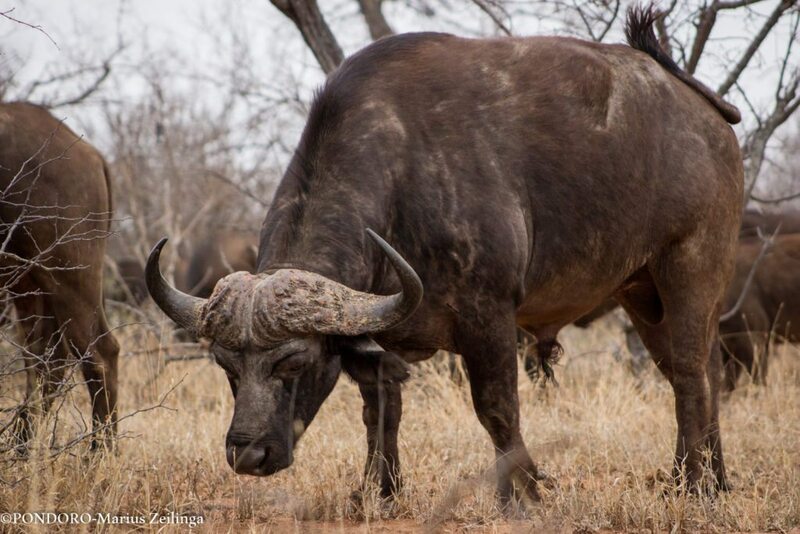 The buffalo are very scattered at the moment and when found are only groups of 10-20. 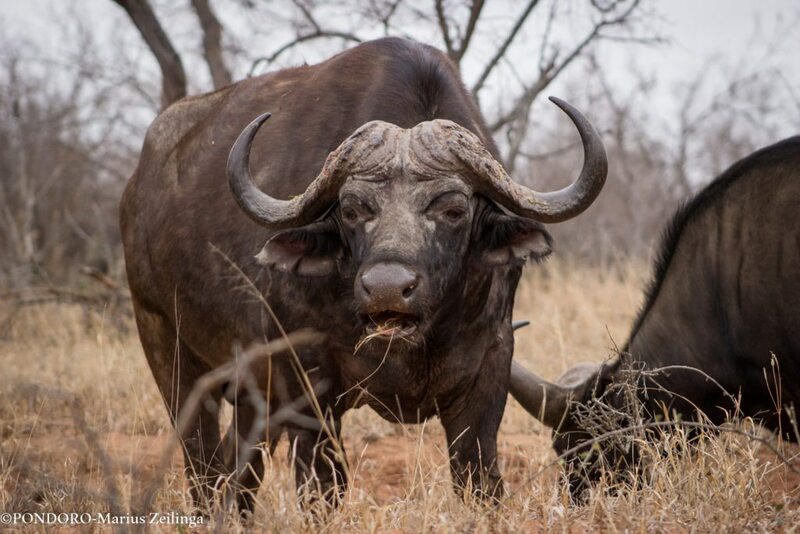 Now this is directly linked to the lack of grass at the moment and currently the bush can not sustain 100’s of buffaloes feeding together in one herd, so they split up. 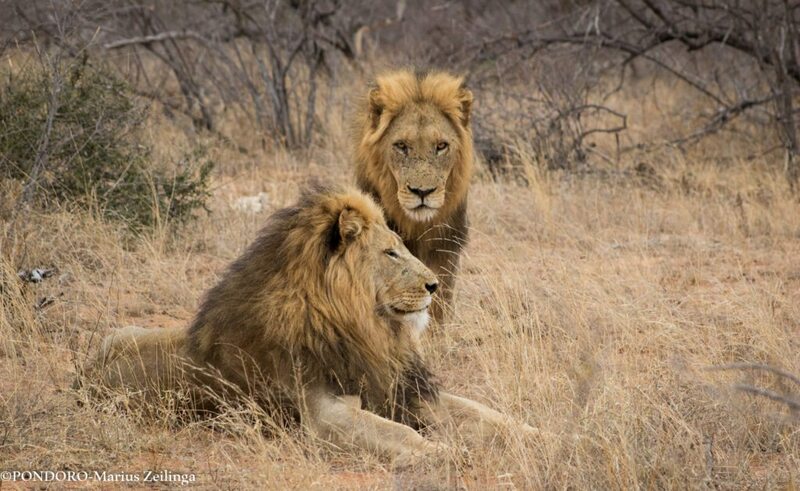 The Machaton males enjoyed a buffalo kill early in the week but soon after they moved away from the females and all 4 of them joined together at one point. 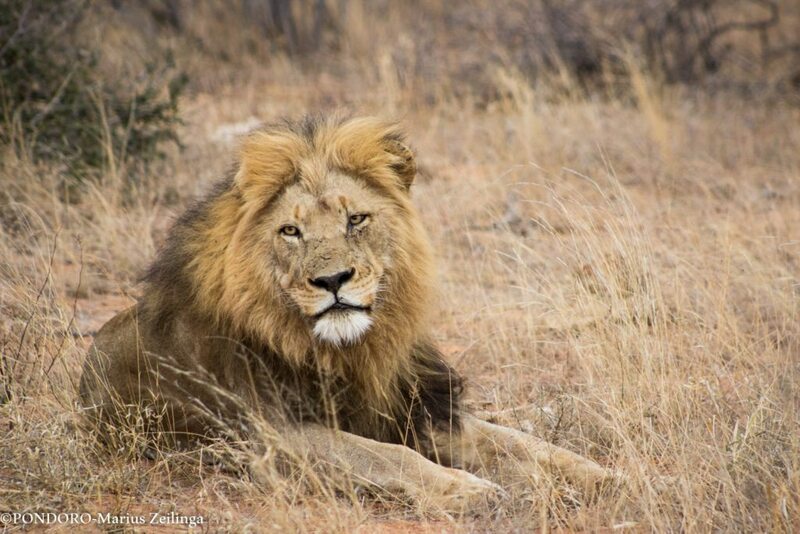 One of them was found roaming around by himself later in the week. 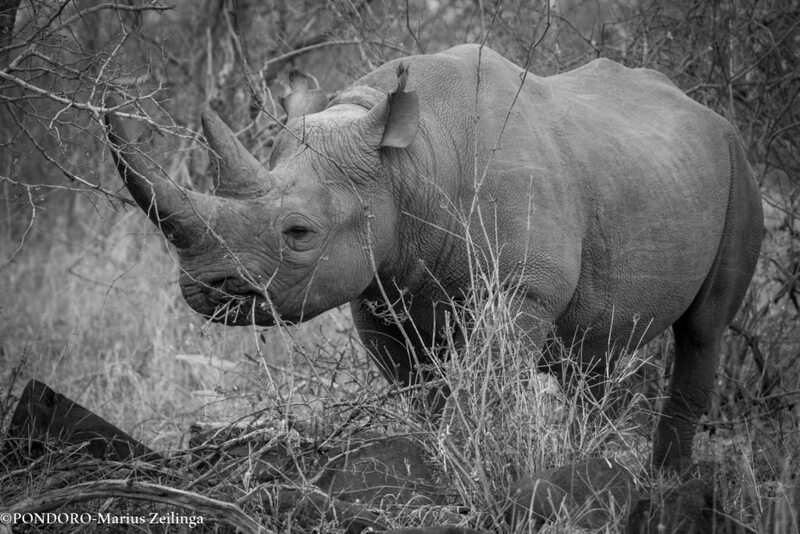 A black rhino bull took advantage of the cooler days during the week and browsed most part of the morning before disappearing into the thickets. 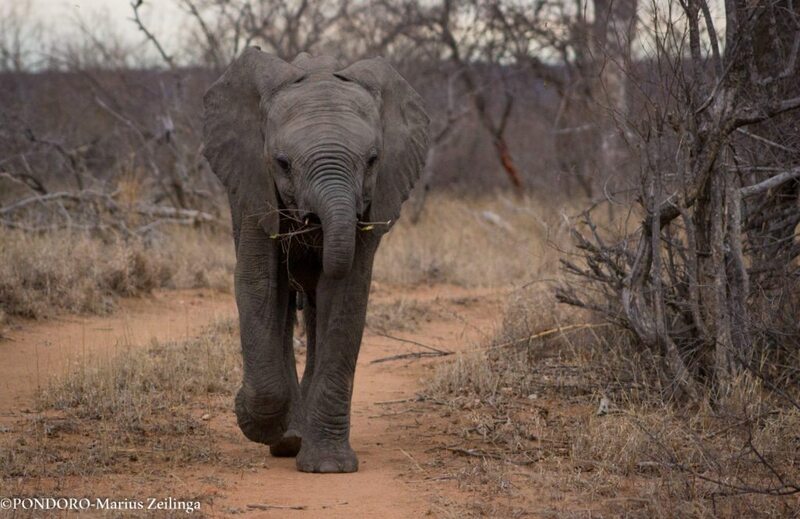 A young elephant came out of the brush and casually strolled down the road towards the vehicle whilst shewing on a succulent branch. 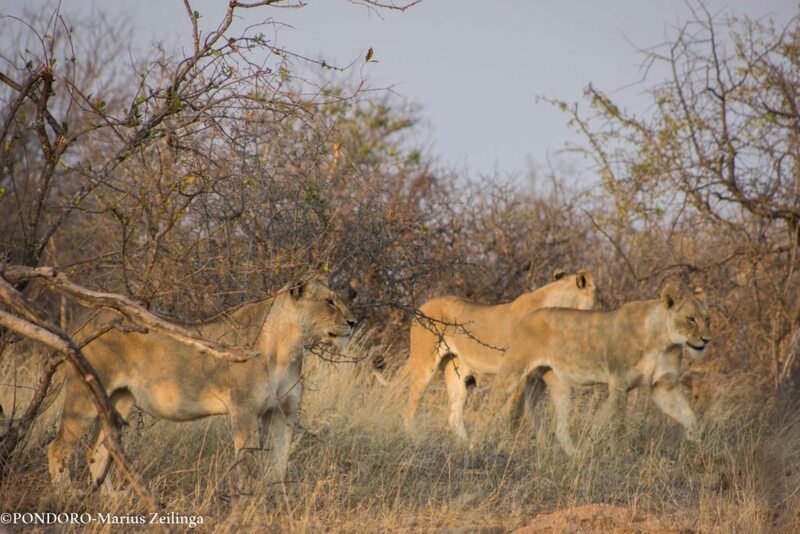 The Kudyela Pride was found moving towards one of the local dams, all of the females were together as we counted 7 of them. 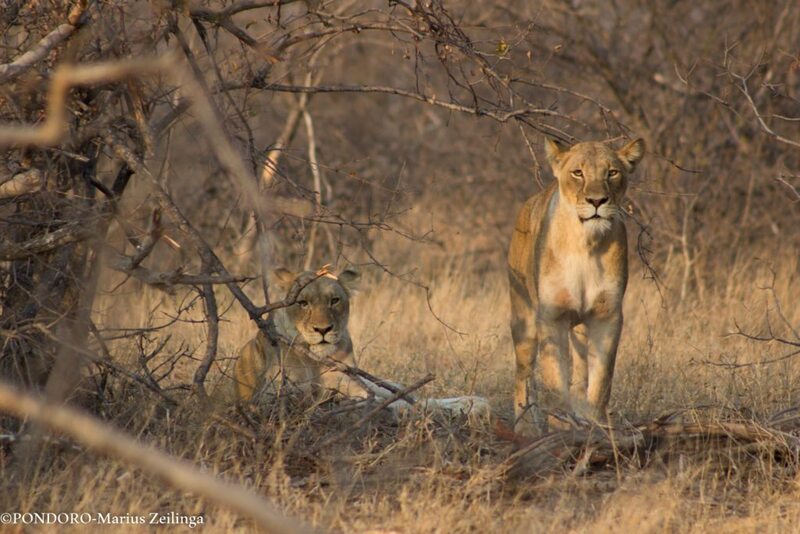 The younger females were very playful stalking, jumping and chasing each other around.